Tritium is a DC charging infrastructure company providing chargers to the global automotive industry. 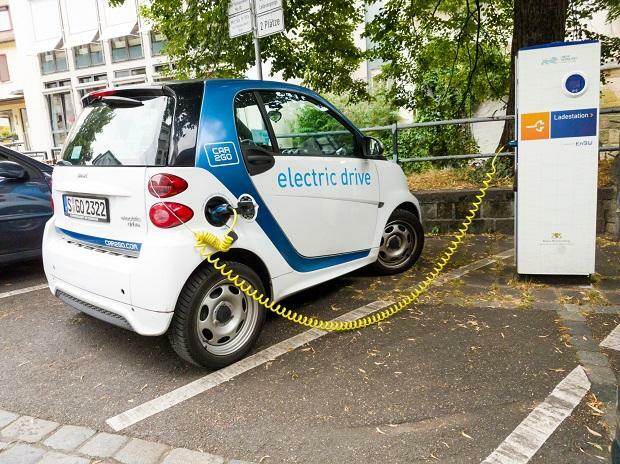 Auto component maker Tata AutoComp Systems Wednesday said it has partnered with Australia's Tritium Pty Ltd to supply direct current (DC) fast chargers for electric vehicles in India. The two companies have signed an MoU under which Tata AutoComp will soon make available Tritium's DC Fast Chargers in India, the company said in a statement. Tritium is a DC charging infrastructure company providing chargers to the global automotive industry. Its Veefil-RT DC Fast Chargers are capable of charging full range of electric vehicles from two-wheelers, passenger vehicles to commercial vehicles. Commenting on the development, Tata AutoComp Systems MD & CEO Arvind Goel said with the advent of electric vehicles, the need for chargers capable of powering them is significant. "We see a huge opportunity in this market," he said adding the company would strive "to bring the latest technology and solutions to our customers". Tritium CEO and co-founder David Finn said:"The MoU ensures Tata AutoComp remains at the forefront of innovation in India, as the nation adopts the FAME India (Faster Adoption and Manufacture of (Hybrid and) Electric Vehicles) scheme." The FAME policy is among the most progressive initiatives in the world, and Tata AutoComp's commitment to rolling out DC fast chargers for vehicles of all sizes is helping to put India ahead of the world in its drive towards a cleaner future, he added. Under the Rs 10,000 crore FAME II scheme announced last month, the government plans to provide subsidy to 10 lakh electric two-wheelers, five lakh three-wheelers, 55,000 four-wheelers and 7,000 buses for accelerating adoption of electric and hybrid vehicles. Besides, the scheme proposes support for setting up of charging infrastructure whereby about 2,700 charging stations will be set up in metros, other million-plus cities, smart cities and cities of hilly states across India.